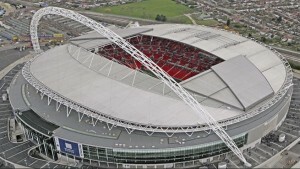 Wembley, the national stadium and spiritual home of English football, will host the 2013 Champions League final later this month when Bayern Munich and Borussia Dortmund face each other. The German clubs come from a footballing nation where tickets are cheap, travel to matches is free or subsidised – and the average supporter isn’t just seen as another mug with a wallet to empty. Wrexham fan Ian Herbert has been lucky enough to see his own team play at Wembley twice this season, but asks: haven’t the authorities forgotten, again, the game is all about the fans? One of the many great aspects of being a Wrexham fan is being able to say you’ve been to Wembley Stadium more times this season than either Dortmund or Bayern will manage. The chance to place a Welsh flag in the Champions League Final at Wembley, where the German teams will meet 18 days from now, would certainly have been an historic treble. But we’ve been there twice now, won the FA Trophy against Grimsby Town on penalties on 24 March, lost the more important Blue Square Conference play-off final 41 days later – that was on Sunday – and after the heartbreak that second appearance entailed everyone needs a good lie down. Digested read: Wrexham, comfortably the better team throughout, concede on 85 minutes to a £25,000 player who they couldn’t afford to buy in January but who Newport County could. Too late to save themselves. Stuart James put it all much better in his report for the Guardian. So, all in all, that’s quite enough for one year and my bank manager feels the same. 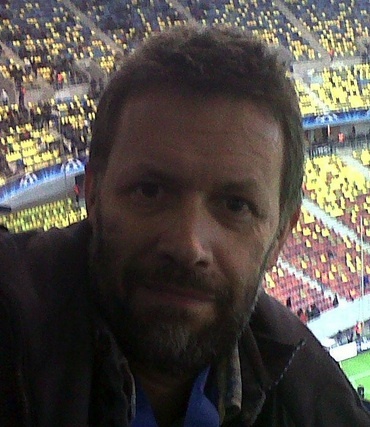 All yours Dortmund and Bayern, he says – and on the basis of the past few months, it will be interesting to see what their fans of those two German sides make of the experience. These are supporters, remember, who are accustomed to free local train travel to games within cities where Bundesliga fixtures are staged and cheap, subsidised train travel for longer journeys; who spend £10-15 for match tickets, £150 on season tickets; and who eat sausages for £3 before the game if my memory serves me from the Allianz Arena last season. 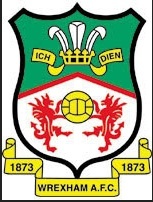 Some of those notions are not such an alien concept for supporters of Wrexham, a fairly representative club who sank from the Football League during a catastrophic period inflicted upon them because the Football League did not have any way to force proof-of-credentials from the men who took them over to such disastrous effect but who are gradually making their way back. This is a club which is owned by its fans, now. One which charges £10 for junior season tickets. 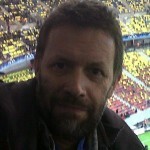 ONE: Trying to buy a bag of chips for my nephews inside the stadium on Trophy Final day. There’s nowhere to buy just chips with nothing else. Has to be something with chips, burger with chips, pie with chips. Cost about £9. TWO: Trying to buy a bag of chips for my nephews outside the stadium on play-off final day. The burger vans at the top of Wembley Way have melted away, making way for a building site. McDonalds built in the middle of a traffic island on Wembley Park Road, was the best option for cheap food at the home of football. Long queue, but chips in a bag, with nothing else, if that’s what you’d really like. THREE: Trying to park the car for less than £30 – an issue of very pressing importance to Wigan Athletic and Manchester City fans who will be driving to Wembley for Saturday’s FA Cup final. They’ll be driving, you’ll recall, because they’ve been told by the Football Association that Saturday’s 5pm kick-off time will not be changed and that extra trains will not be laid to allow rail travel of any description back north after the game. Thoughts on that here. On Sunday, we tried to find a solution – park at a Tube station a few stops north of Wembley Park. Which was all going very well until it emerged that London Underground have upped their ticket prices, “to encourage people to buy an Oystercard.” So, a three-stop, five-minute journey cost £8.70 return per person, on a Sunday. Nearly £20 for two of us. We might as well have parked at Wembley. FOUR: Trying to get a decent read before the game. Of course, the match programme is obligatory on occasions like Sunday and for £5 you’re at least hoping for the kind of stuff you’d get on a match day at Wrexham’s Racecourse. Manager’s Andy Morrell’s programme notes were an uncanny, almost verbatim, report of precisely what he’d said on Radio Wales a week earlier, ten minutes after the semi-final win at Kidderminster. No player interviews. A profile of our legend Mickey Thomas. No quotes. FIVE: Trying to get decent priced tickets. You might say, and I’d probably say, that £41 seats are not bad for Wembley. There was some scoffing about the two Welsh clubs in some realms of social media last week when neither side sold that many, but after the FA Trophy trip, many Wrexham fans couldn’t afford another one. The North Wales contingent was the larger and you wondered what the stadium might have looked and felt like if they’d halved the prices and just tried to fill the place. The attendance for Sunday’s final was 16,346. People will point to other finals – 42,669 for the Oxford United v York City Conference play-off three years ago – but even that’s only a half full stadium. It’s a chance to give the fans probably the only chance in their lifetime to support their team at this place. It’s just hard to avoid the sensation that the demands of the stadium’s bank manager – the one who agreed to the mortgage which got the home of football place built in the first place – are the one which need to be met on these finals days. And that the modest clubs must offer a helping hand like all the rest because Newport’s chairman and founder, Les Scadding, won the EuroMillions lottery after that expensive mortgage had been signed up to. The bottle’s always half full in football’s lowers reaches though, because it needs to be. And it is with that philosophy that we can all view two pricey days out as very useful preparation for how life will be in those days, not so very long from now, when Wrexham have taken their place alongside Cardiff and Swansea in the Premier League.